in Pakistan's Daily Times say that apparently NATO are also 'considering' the plan. Its not surprising they are at least considering it. Afghanistan is as chaotic and war torn as ever: current efforts to deal with the illegal opium trade are clearly failing in dramatic style. Add to this the fact that everyone knows the eradication plans being floated are hopelessly impractical and have zero chance of success, and there may indeed be potential window for more radical solutions to be reviewed. Unfortunately 'consider' is not 'do'. When they do 'consider' it they will find that in its current form the plan is a non-starter. Below is an article which appeared (with a couple of very small edits) in this month's Druglink magazine in which I explain why. The Senlis Council proposal to license Afghan opium production for medical use has been garnering much publicity and high level support, most recently from the BMA. Could this plan be a 'silver bullet', simultaneously helping to heal Afghanistan and solving the 'global pain crisis'? 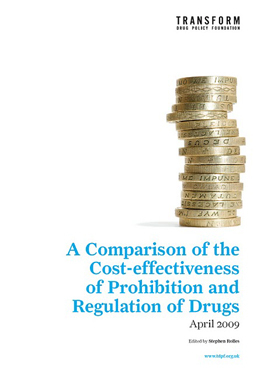 Sadly not, argues Steve Rolles from the Transform Drug Policy Foundation. Superficially at least the idea has great appeal. Currently more than half of global opium production is legal and licensed for the medical market (morphine, diamorphine, codeine). This product is not profiting criminals, fueling conflict, or being sold to addicts on street corners. Could we not help Afghanistan on its road to economic and political stability and fill the apparent shortfall in medical opiates for pain control? Unfortunately no – this apparent 'silver bullet' solution faces a raft of practical and political obstacles that render it almost completely unfeasible. Firstly, the medical opium 'shortage' is an illusory one. Licit opium production currently takes place primarily in Tasmania, Turkey, and India, strictly licensed by the UN drug agencies. The problem is evidently not a lack of opium but rather the under use of current production. The INCB estimated annual global demand for licit opiates (in morphine equivalents) was 400 metric tonnes and that over production since 2000 has led to stocks 'that could cover global demand for two years'. Afghanistan's annual production is 610 tonnes of morphine equivalent (and rising). Flooding an already over-saturated market would potentially cause precisely the supply/demand imbalance the UN control system was designed to prevent. Any first steps would, therefore, have to address under-usage of existing production and the related political, bureaucratic, and licensing issues before any realistic role for licit Afghan production could seriously be entertained. The second problem is a purely practical one with Afgahanistan's status as a failed state and war zone presenting insurmountable obstacles. Although such an illicit-to-licit transition has been achieved in Turkey and India, this required a high level of infrastructural investment, state intervention and security apparatus, something Afghanistan is entirely lacking in its current chaotic and lawless state. Afghan production would also struggle to compete on the international market, with its unit costs estimated by David Mansfield (1) at almost ten times higher than the highly industrialised output from Australia. Finally there is the fact that demand for non-medical opiates will not disappear, even if Afghan opium production hypothetically could. A lucrative illicit profit opportunity would remain - a vacuum into which other illicit production would inevitably move - whether in Central Asia or elsewhere. More likely, the demand would be met by increased Afghan production under the same farmers, warlords and profiteers, potentially making the situation worse. The plan has no more hope of getting rid of illicit non-medical production than the decades of failed alternative development and eradication have. The brutal realities of supply and demand economics in a completely unregulated and illegal marketplace will see to that. There may well be a place for smaller scale licensing of Afghan opium at some point in the future, certainly for their domestic medical needs and perhaps as part of an amnesty plan or transition program for farmers moving into alternative crops. But the Senlis plan as currently envisaged is a non-starter - 'silver bullet fantasies' as the TransNational Institute describes it (2). Sanho Tree (Fellow of the Institute for Policy Studies in Washington DC) described the plan as "a mirror image of prohibition – well-intentioned but ill-conceived, just from the opposite end of the policy spectrum". Whilst undoubtedly useful in stimulating debate on licensing opium production, the proposal is now casting a shadow over more thoughtful and cautious policy work being undertaken by other drug policy NGOs. 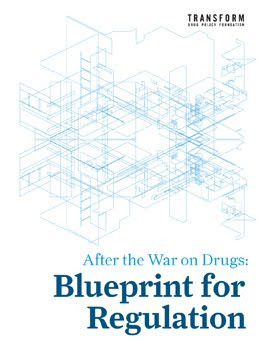 For organisations like Transform there is a danger that an over hyped but ultimately doomed 'legalisation' plan is potentially undermining a reform movement struggling to promote a more nuanced exploration of realistic models for regulated drug production and supply. Thanks for keeping this quality information and insight going. I appreciate all the work you guys are doing. Information is power. Knowledge is King. Thanks again. GJS. Dorset. Having come across this blog, I was wondering if you have seen the most recent Senlis Council report (June 07 - Poppy for Medicine - www.senliscouncil.net) which seems to provide an answer to many of the questions raised by this post. The security situation could be challenged through the 'integrated control system' they propose and the current market for morphine would open up through bilateral trade agreements with countries that currently cannot afford the prescription of morphine and therefore are undersupplied by the INCB system. Eradication of poppy is clearly a failure and licensing projects could be the only way to positively respond to the crisis. I think Steve Rolles is being much too negative. He argues: (1) Opiate shortage is due to low production rates - i.e., not a real shortage. So what? we (collective "we") should not address the apparent shortage by increasing capacity at existing plants, we should bring the Afghan source on-line instead. In any case, an excess of supply makes drug costs lower for third world applications. (2)War and insecurity will cause the project to fail. Conjecture - an unproven position. The soldiers now fighting the Taliban can be used to police farmed areas. The important change being that the farmers would at least be neutral and may even be supportive. A good chunk of Afghanistan is under control and infrastructure for cultivation (and even chemical conversion plants for derivatives)could be expanded from these areas. (3) Afghani production would not be cost competitive. Not a problem - if the countries funding the existing war want to get out of this mess it should be fairly easy to obtain subsidies from them to cover the difference. The purpose of cultivation for medical purposes in this instance is not to make heaps of money, it is to encourage peace and good government in Afghanistan. It is a goal worth paying for. (4) Illicit trade would still exist. Wow, now there is a dose of reality. Of course there will always be a market for illicit drugs, but taking a large market share from the Taliban will do some good. For one thing, it will reduce the area under control of the Taliban, an area that could grow over the years as more farmers buy in. It will also force the Taliban into a bidding war (good for the farmers) with some, potentially, pretty deep pockets against them. Some heavy policing will be involved but I think this will be preferable to the mess we have now. I think the idea looks at least promising enough to be worthy of a pilot project before the next growing season gets going. jj - thanks for your contribution. i dont totally write off the idea, I just think that suggesting it is the silver bullet solution to the twin problems is not realistic. i think there is room some small scale projects like this, certainly for a pilot, but i also think that this is not a solution for the massive problems afghanistan faces relating to illicit opium. This plan is another (possible) inadequate band aid and I think it has more popular appeal than it has any real chance of substantial success. Only legally supplying the current illicit market will collapse the illicit production once and for all and there is no way past that fact. Diverting crops to the medical market, even if possible at any scale, would create a void that would just be filled by expanded illicit production. The problemn is not improved and may get worse. Eradication is no solution, but any of the alternative development solutions (or in this case alternative markets) are either since none address the demand for illicit product. whilst this remains, all these efforts are futile as decades of experience shows with some clarity.